This is an invitation into a relationship of mutual caring – and a tough sell in today’s world. We’ve become more insular and isolated, so do we really mean it? Now we live more in neighborhoods than we do with neighbors, but the call is still to care for one another – even those we would call our enemies. 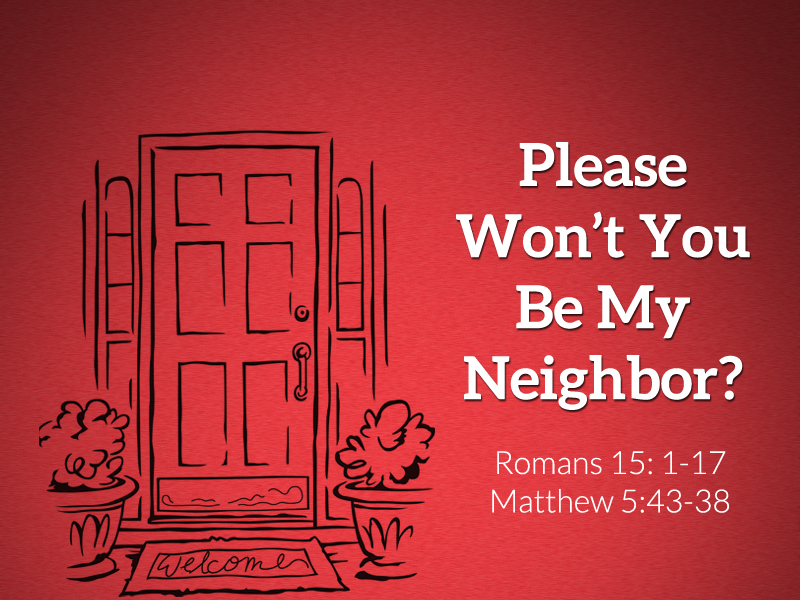 This is Pastor Mary’s second message in the series, “Won’t You Be My Neighbor? 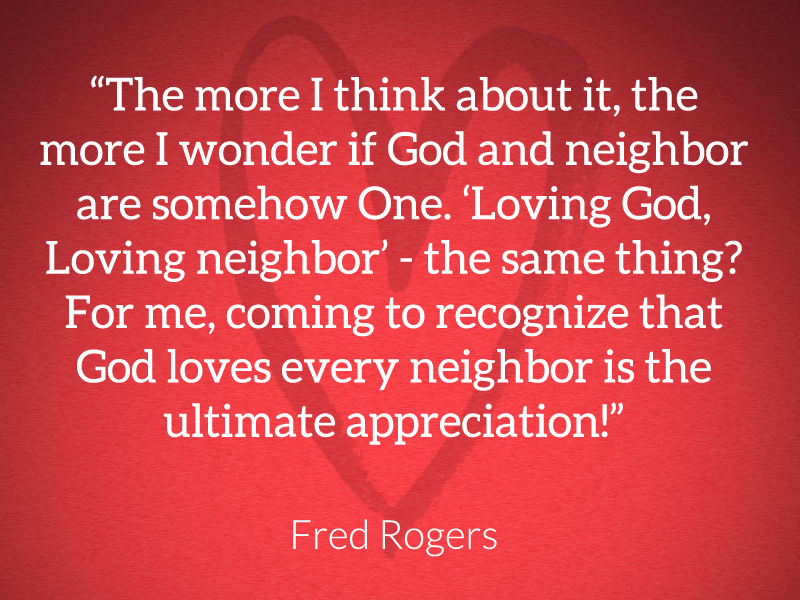 Learning from Mister Rogers.” It is based on Romans 15: 1-17 and Matthew 5: 43-48. To read it, click here. To watch Andy O’Riley’s interview with Walter Strickler in its entirety, click here.